While sitting in traffic on my way from Moran Kliger’s exhibition to her Tel Aviv studio, I found myself speculating on the nature of the artist I was about to meet and the person behind the remarkable works I had just seen. I educated myself on her sources of inspiration but still felt there was something deeper, darker even, that I have yet to grasp. 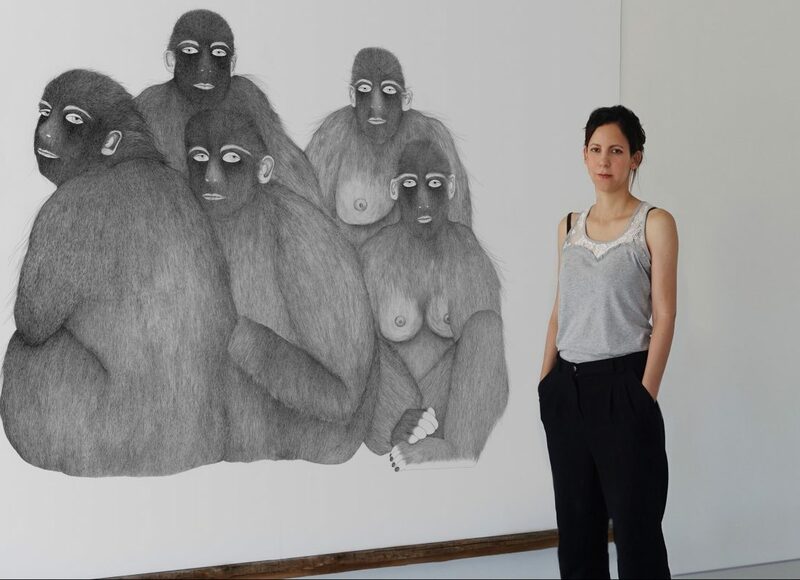 When I ask her about the inspiration for her savage figurative drawings, Kliger goes back to childhood fairy tales, myths, biblical stories and folklore, explaining that she often wishes to undermine gender-related cultural codes, depicting female figures with body hair or in bestial positions. The contrast between the grave subject matters and the beautiful, almost sterilized techniques she uses is deliberate and well thought of; the clean and precise aesthetic serves as a honey trap, catching viewers’ eyes, inviting them to come up close, only to discover the “ugly truth” Kliger demands them to face. And so, “Gray Wolf” from 2011, one of the artworks most recognized with Kliger, depicts a female wolf standing on all fours, with human hands and feet. The work stresses the duality of being a woman, having to be both gentle and aggressive at the same time. In “Untitled” from 2013, the subject figure is more woman-like but she is again standing on all fours in the woods, holding a wolf pup by her teeth while it is unclear whether she is in the process of saving it or devouring it, leaving it open for the viewer’s personal interpretation. Finally, the human-ape hybrids at her recent exhibition are great in size and were displayed in large glass boxes that resemble zoo cages or natural museum dioramas. By doing so Kliger aimed to encompass viewers with the artworks, allowing for a more direct experience. She says people are often surprised when they meet her, “they don’t understand how can such an amiable and reserved women create these wild impulsive pieces. But this is exactly what my works are all about, what I am all about – the thin line between being human in a restrained, civilized world, and being a savage animal. Between nature and culture”. Kliger’s next stop is Paris. She has no plan, hoping to give the human-ape hybrids a little rest and give birth to a completely new descendant. As I step out the gallery I’m suddenly overcome with an instinctual urge. I dig into my purse for my phone and dial those ten digits I’ve dialed many times before. On the other end my mom picks up. 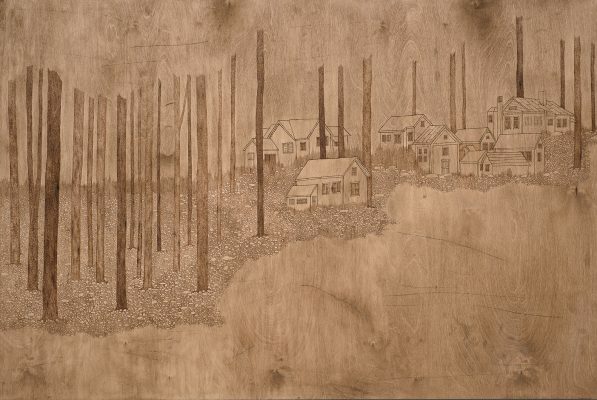 This entry was posted in Studio Visits and tagged Inbal Sinai, Moran Kliger.